Matt averages 25 Hog Roasts per year! PRICE - $1000.00 for 100 lb. 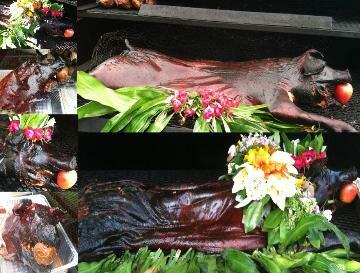 Whole Hog or (MARKET PRICE). Pick up, delivery, set up, and full service available. 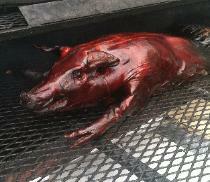 Specializing in Whole Hog Roasts, Bradford BBQ averages 15 Hog Roasts per year. Gate, DeRaes, and Blue Grass Catering. TRADITIONAL SMOKED PIG - rubbed with herbs & spices.